Good Girl Gone Redneck: Looking for beautiful gift ideas? Shop Heart of Haiti and support a worthy cause. Looking for beautiful gift ideas? Shop Heart of Haiti and support a worthy cause. I met the fine people of the Everywhere Society this fall at Type-A Parent Conference. Their booth in the conference expo included a number of products from the Heart of Haiti line at Macy's that they support. As soon as I saw that they were planning an upcoming campaign supporting this effort I volunteered myself as a participant. I learned that Macy's representatives made their way to Haiti after the 2010 earthquake and realized that despite the devastation there were people there creating gorgeous pieces and art and these people belonged to an artist community that was itching to bring their products to the marketplace. Macy's was able to launch a product line at certain stores (I love that NYC and Brooklyn were among them!) and Macys.com. At this point, so many years into the program, Macy's has found their efforts supporting over 400 artists. All you need is 30 seconds to watch this video and it will inspire you to make a purchase that gives back. My words can't take the place of the artisan herself explaining to you what these purchases mean to her and her family. Take a moment and watch. 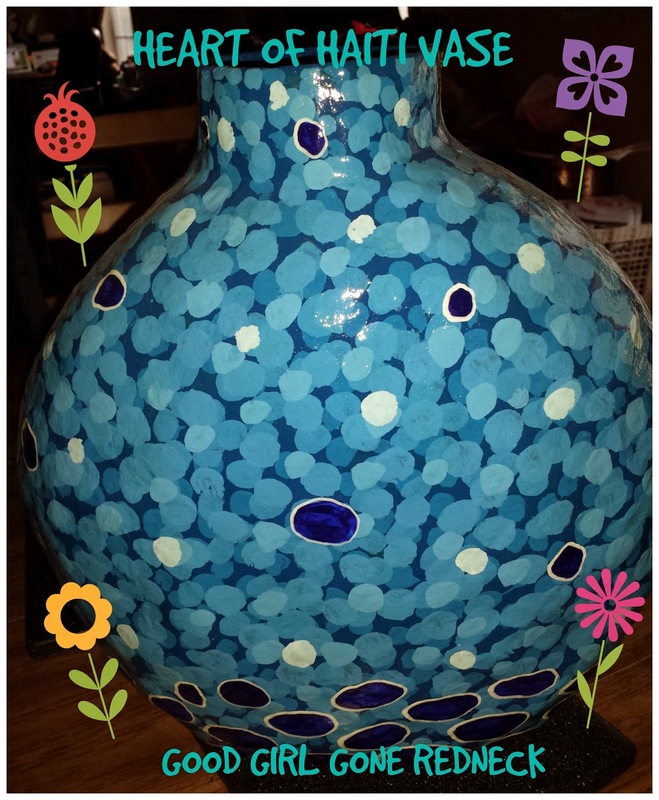 Now, I'll be honest, I had my eye on the Blue Circles Papier Mache Vase I received to review and discuss immediately. It was gorgeous. It IS gorgeous. But this campaign is so important I would have done it regardless of what I had the chance to review. This beautiful vase is hand-painted and includes a glass insert to guarantee functionality beyond it's beauty. I took a picture of the insert, but honestly you just need to look at the vase itself - because the insert is just a glass cylinder and the outside is where the true beauty is. Just look at it! Along with this vase Heart of Haiti has so many more items that could suit your style and represent your generosity with a purchase. I've spotlighted a few of them for you below and the links are beneath the collage for easy research. Heart of Haiti also has some beautiful holiday decor for your home that you're going to want to check out immediately. Again, links for each item are below the collage. I really can't decide which I want to buy, I think I am going to need to get the papier mache heart (the red one) and it's only $8.00! I also have my eye on the angel votive holder - because it's simply beautiful and I have a thing for angels in my holiday decor. For details on how Heart of Haiti is supporting artisans and their communities you can head on over to the Macy's website. 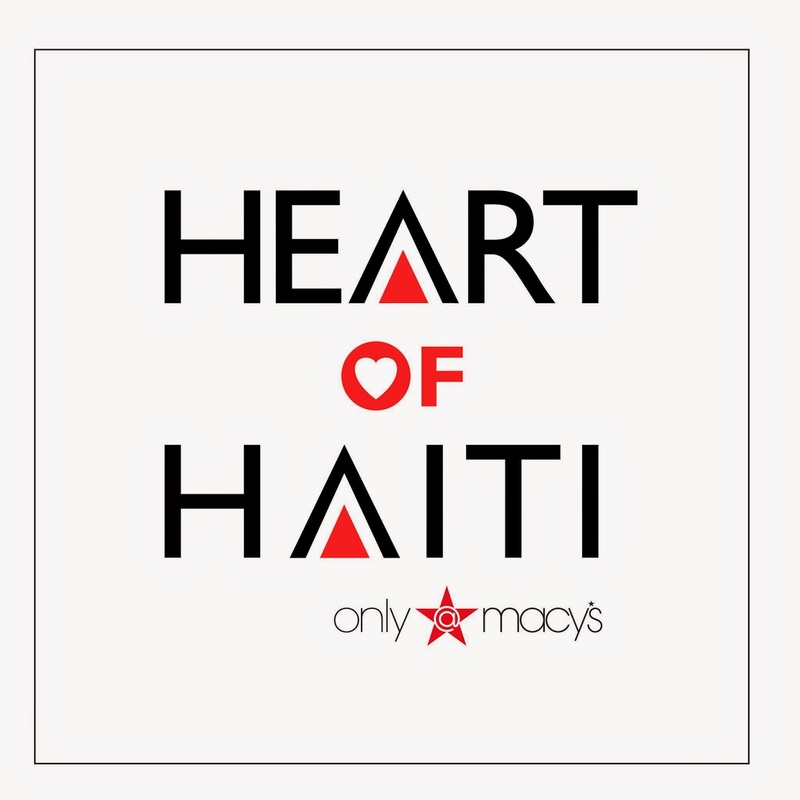 Macy's has other programs that support people across the globe and you can find products supporting those causes and Heart of Haiti on their Gifts that Give Hope page. You can also find out more about Heart of Haiti by liking their Facebook page or following them on Twitter. Heart of Haiti is a beautiful choice if you're looking to do some good with your holiday shopping. I hope you'll consider some of these products as you plan your gifts for the holiday season or as you try to spice up your own decorations with something new this year! I love these ornaments Andrea! This is wonderful. I had no idea it even existed. Thank you for sharing! I did not know anything about this! Sounds like a great idea! I love the black and white vase! These are great, and what a great cause! Sharing on FB! I read over about 10 of your NaBloPoMo posts and I am so fascinated by this one, Andrea. I never heard of Heart of Haitti and the beautiful artwork they make. I am definitely going to look at Macys.com to find some items to order! Wow amazing beautiful pieces they offer, such wonderful art of each piece, I love the vases, the colors they use are so gorgeous, great cause.